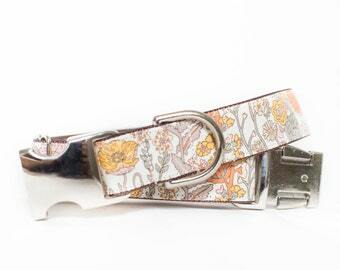 Our Autumn Rose Linen dog collar is available with nickel or brass hardware. 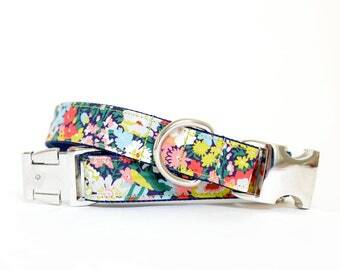 Please make sure to measure carefully, and we'll customize a collar made just for your special friend. 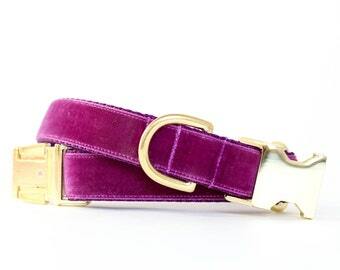 We make each collar after you provide your size preference. Our current processing time can be found in our shop announcement above or in the "Shipping & Returns" section for each item. 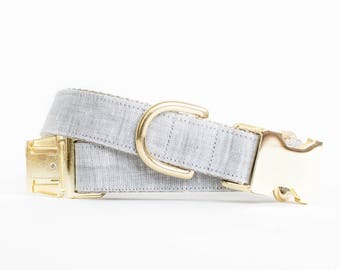 I was very excited to receive this product because of all the positive reviews and how adorable it was. After waiting 3 weeks it finally shipped, within 5 minutes of my dog wearing it she was able to chew halfway through the material....in a matter of 2 minutes. 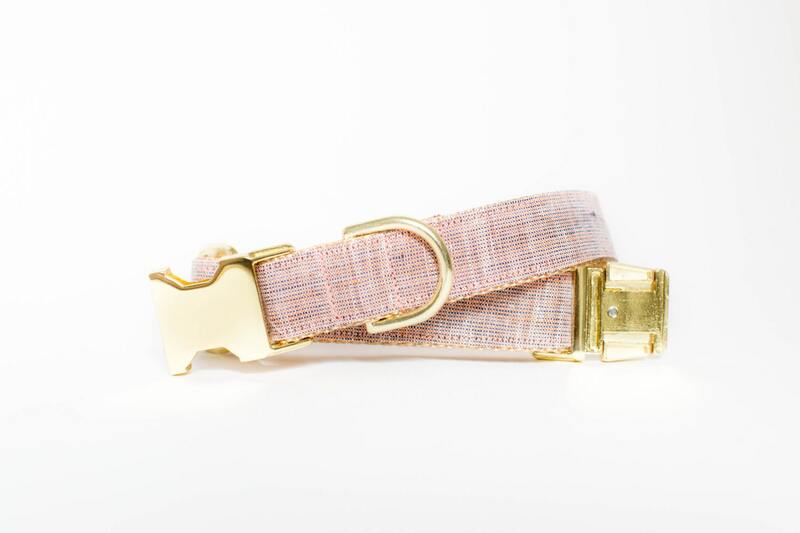 The quality of this is terrible, it has a cheap plastic on the side that lays on the dogs neck, the metal however seems to be great quality. I was so disappointed in this especially after waiting almost a month and paying almost $40. 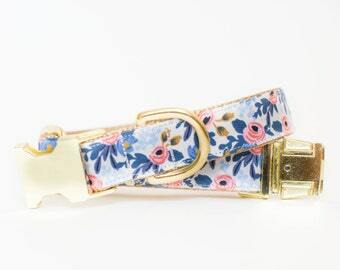 great quality and so cute! 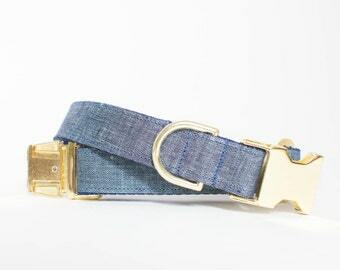 My dog is between sizes or needs a different width of collar than what I see listed. Do you make custom sizes? Do you make matching harnesses? 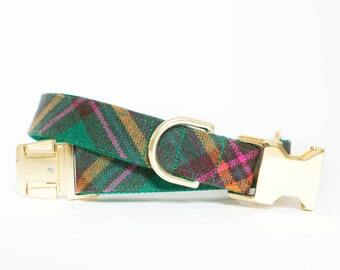 Unfortunately, at this time we're not able to offer harnesses in the shop. 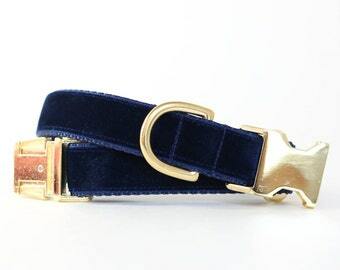 Are you able to engrave the buckle with my dog's name and/or my contact information? Currently, we don't offer this customization, but we're working on making that happen in the near future. Absolutely! Our size chart will show you the range for each individual size, and the chart can be found on each listing in our shop. 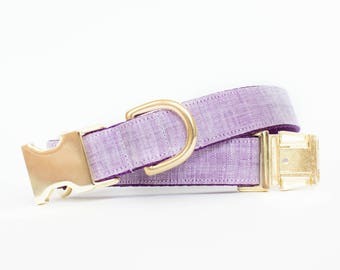 Do you make custom collars in different styles/colors for weddings and special events? We LOVE creating custom items for weddings, engagement photos and other fun events. Please send us a message to inquire about the different options available!